At least six people have been killed and around 25 others injured - mainly firefighters - during Portugal's worst day of the year for forest fires. Around 500 blazes were reported in the country's central and northern regions where a state of emergency has been declared. Soaring temperatures of up to 36 degrees celsius have been recorded - extraordinary for mid-October. More than 100 fires were still burning late Sunday night with more than 5,000 firefighters battling the flames. 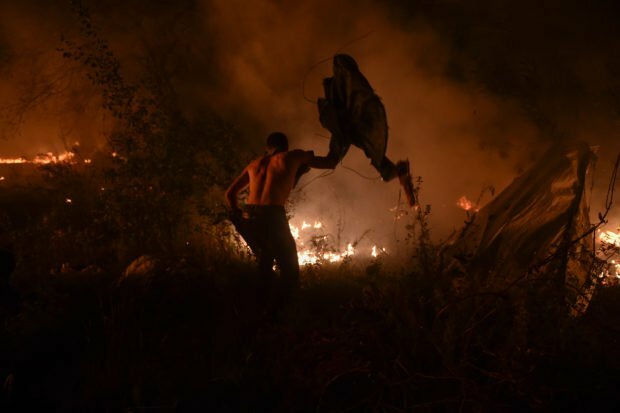 The worst outbreak of Portugal's fires in 2017 killed 64 people in June, with many dying on a road as they fled the rampant flames in their cars. Wildfires are also ravaging north west Spain where at least three people have been reported killed and two more are missing. The bodies of two victims were found in a van which had been travelling through burning woods in Pontevedra province. 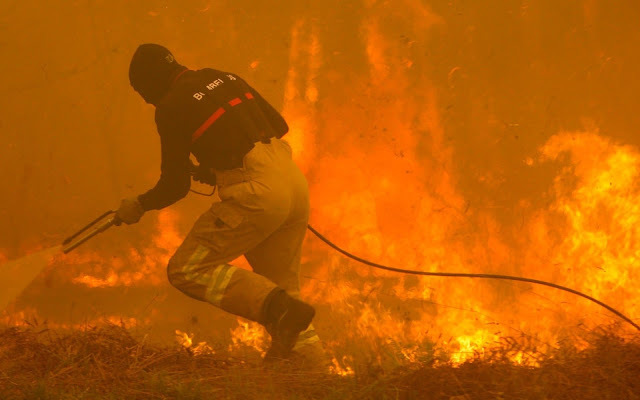 After a weekend in which more than 100 fires started in the region of Galicia, the city of Vigo has been described as being under siege from the flames. Weather experts say the fires on the Iberian peninsula are being fanned by strong winds from Hurricane Ophelia.